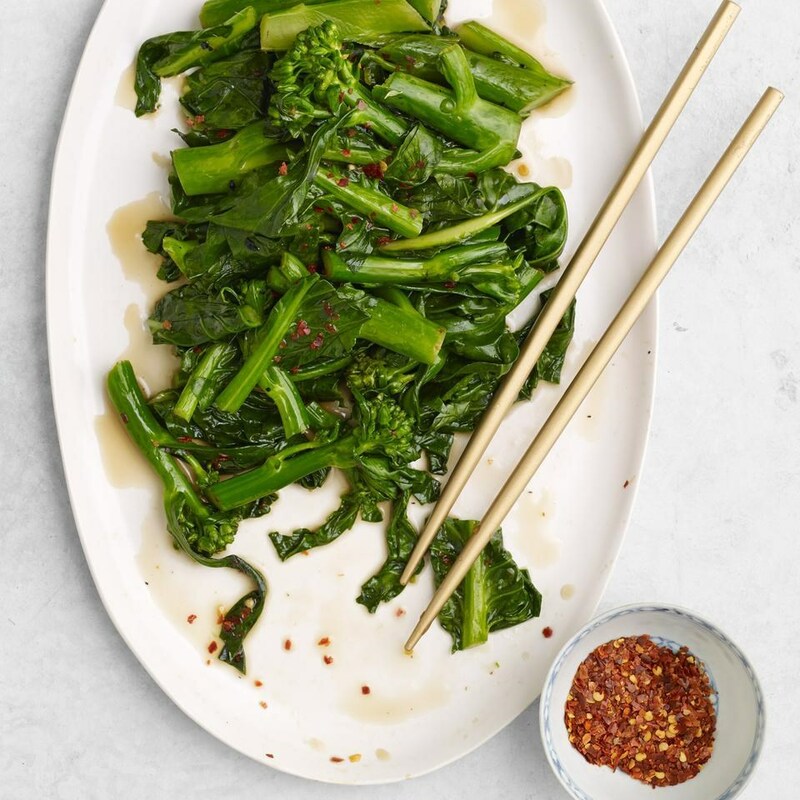 In this Asian stir-fried vegetable recipe, a touch of sugar is added to balance the bitterness of Chinese broccoli. 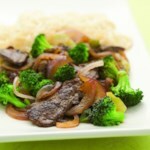 Serve with Asian-marinated meat and brown rice for a healthy weeknight dinner. 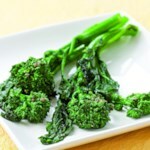 Trim ¼ inch off broccoli stalks. If the stalks are thicker than ½ inch, cut in half lengthwise. Keeping them separate, cut the stalks and leaves into 2-inch-long pieces. Combine sugar and salt in a small bowl. Heat a 14-inch flat-bottomed wok or large heavy skillet (not nonstick) over high heat until a bead of water vaporizes within 1 to 2 seconds of contact. 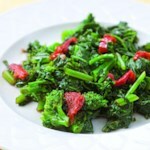 Swirl in 1 tablespoon oil and add ginger and crushed red pepper; stir-fry until the ginger is fragrant, about 10 seconds. 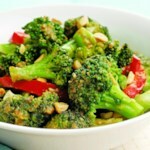 Add the broccoli stalks and stir-fry until bright green, 1 to 1½ minutes. 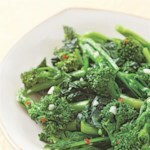 Swirl in the remaining 1 tablespoon oil and add the broccoli leaves; sprinkle with the sugar mixture and stir-fry until the leaves are bright green and just limp, about 1 minute. 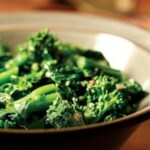 Swirl in rice wine (or sherry); stir-fry until the stalks are just crisp-tender, 1 to 1½ minutes. Remove the ginger before serving.